MH8 Manual CMM Probe Head - CMM Inc.
A manual indexing probe head, the MH8 isdesigned for use on all small manual CMMs. 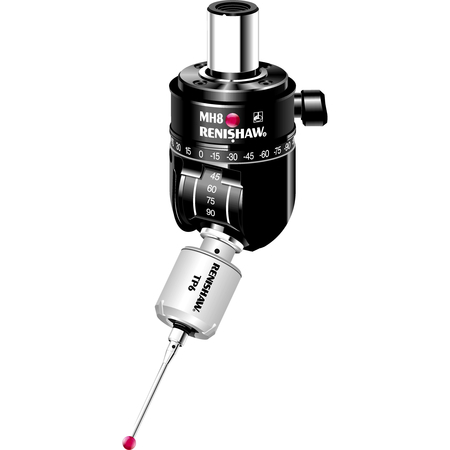 It is made with an M8 thread probe connection and can carry any of Renishaw's M8 probes. The reach can also be extended by fitting a 50 mm probe extension bar into the probe head.